These Modern White Pearl Earrings with Diamonds are the gorgeous way to take pearl earrings to the next level. These simple drop style earrings hang from a french hook style post and each earring has a round brilliant cut cz diamond which is prong set and connected to a 12mm white glass pearl. The pearls have a lovely sheen and luster and are complimented by the bright white of the platinum they are set in. We can do this pearl earring in the other color pearls. Please feel free contact us if you have some ideas. OEM is welcomed. Looking for ideal Pearl Earrings with Diamonds Manufacturer & supplier ? We have a wide selection at great prices to help you get creative. All the Pearl Earrings UK are quality guaranteed. 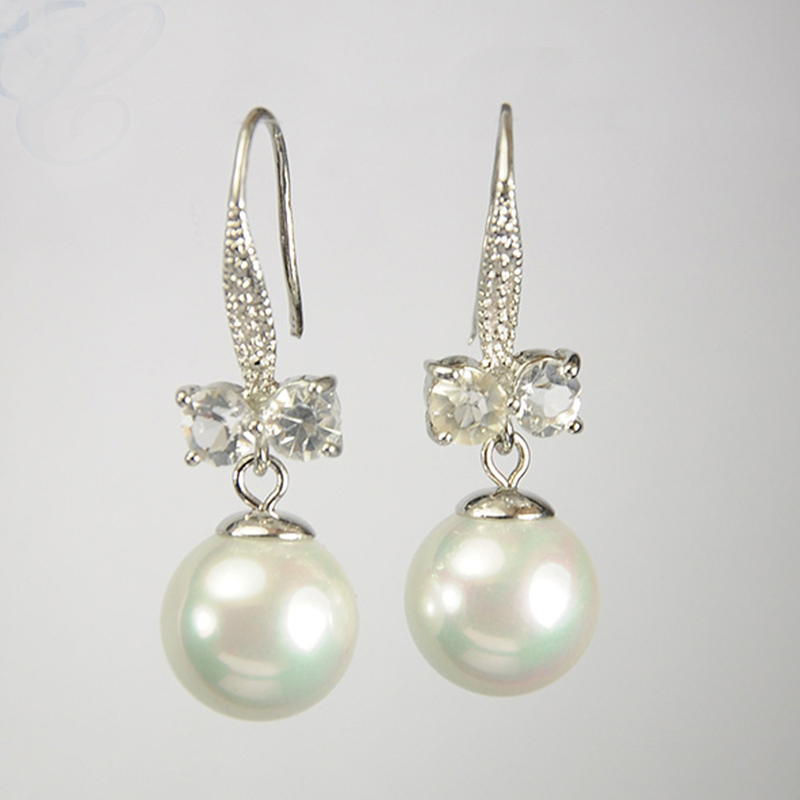 We are China Origin Factory of Wholesale White Pearl Earrings. If you have any question, please feel free to contact us.